As a large mechanical device, the production security problem of concrete batching plant has always been widely concerned by users. As the saying goes, no rules no standards. In order to create a reliable and safe working environment, we must pay attention to the following five principles. 1. Before operating concrete batching plant, operators should be qualified enough through professional training. 2. Operators should operate concrete batching plant according to international standards and the power of concrete mixer is strictly forbidden to be increased privately. 3. After installing a new concrete batching plant, overload operation should be avoided completely or its service life will be reduced greatly. 4. 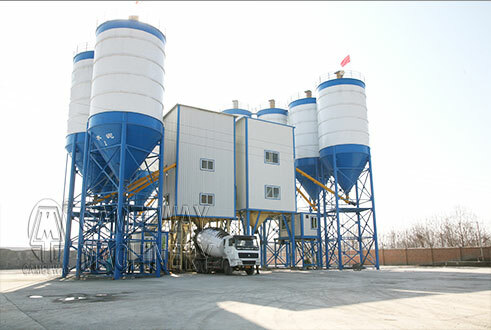 When maintaining concrete batching plant, operators should stop operation and it is prohibited to start the conveyor belt and main mixing engine. 5. Operators should wear work clothes and helmet, and playfulness is prohibited.